Today was the biggest day of the swell, 4.5 ft at 16 seconds, which means overhead waves almost everywhere. So we decide to surf at Astillero, the same place as yesterday, where the waves are much smaller since the bay blocks most of the swell. 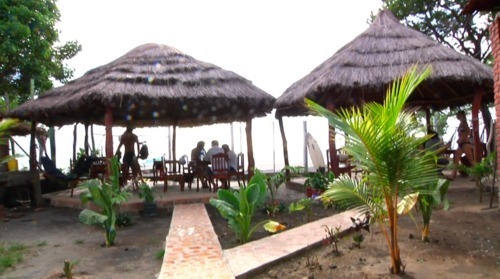 We set up shop right on the beach, and surf for a couple of hours until we are hungry again. Then we go to the same place as yesterday for another great lunch: rice, beans, tortillas, and grilled pork with butter and lime. On the way home we stop by Henry’s, the caretaker at Two Brothers. He had invited us to his annual cockfight right in his backyard. 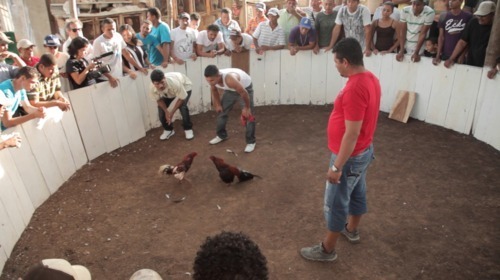 Cockfights are very controversial, even here where it is a part of Nicaragua’s culture, and I am not too impressed by the fight itself. However, it is amazing to see all these people so intense and excited having a great time. 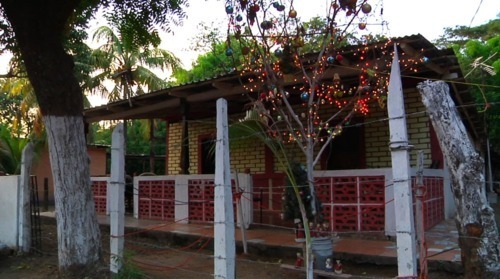 We leave early, and have no real plans for Christmas Eve, but we quickly stop by a local’s house. 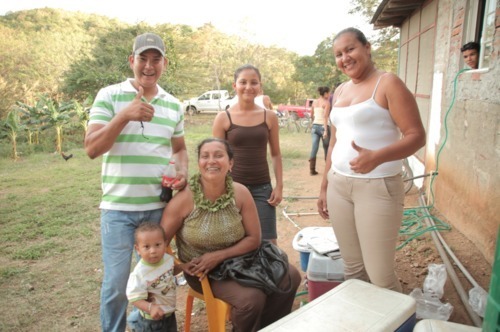 Unfortunately it is already dark, and they have no electricity, so we decide to leave early, but not before giving them some gifts and discovering that Christmas is not as popular in Nicaragua since poverty limits what they can do. Unlike a typical American Christmas there are rarely any trees and no presents exchanged. Most people here celebrate by having a pork dinner which they’ve saved up for for months. A strange day…but Merry Christmas everyone!